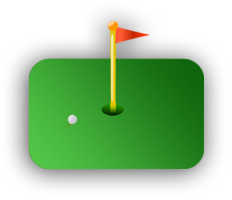 Free Handicap Tracker - The Free and Easy Way to Track Your Golf Handicap Online! Free Handicap Tracker makes it easy to keep track of your golf handicap. If you are not yet a member, Register For A Free Account. If you are a member, log in anytime to enter your golf scores! Check out the Handicap Tracker App for your Android phone or device! The app uses your FreeHandicapTracker.net account information to keep your handicap and scores up-to-date on both the app and the website. This is a FREE DOWNLOAD from the Google Play app store for a limited time only!